The sheer volume of messages consumers get today is staggering. A person can expect bombardment by 4,000-10,000 advertising messages daily. Cutting through that clutter requires a genuine connection with people. To capture eyeballs and attention, you need to connect with hearts and engage minds. That means being part of people’s lives and supporting their causes. Outdoor events are a growing part of community engagement for many organizations. 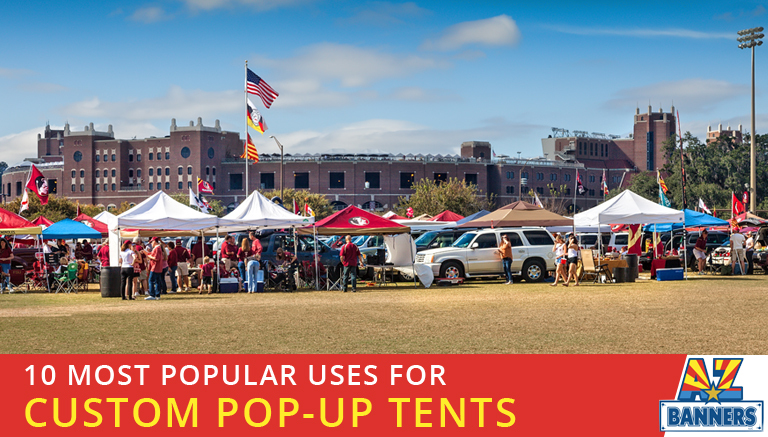 Custom pop-up tents provide shelter from rain and harsh sun as well as a large space for your brand message. 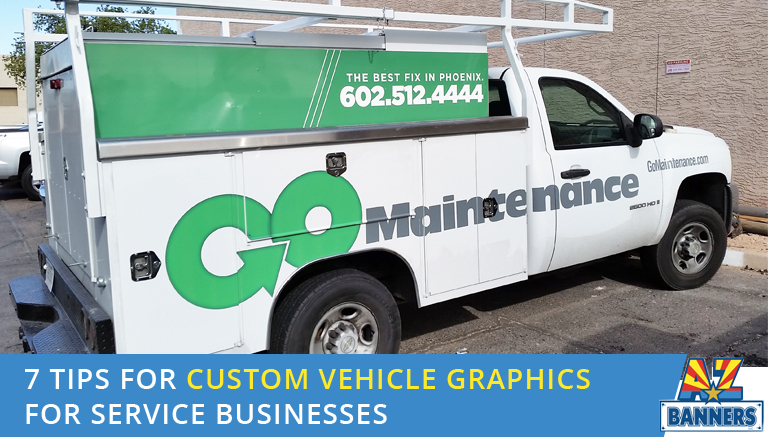 Whether you are showing off your latest products at a community event, reaching your customers at a tailgate party or sponsoring the Scout First Aid tent, you can place your brand where your customers are! 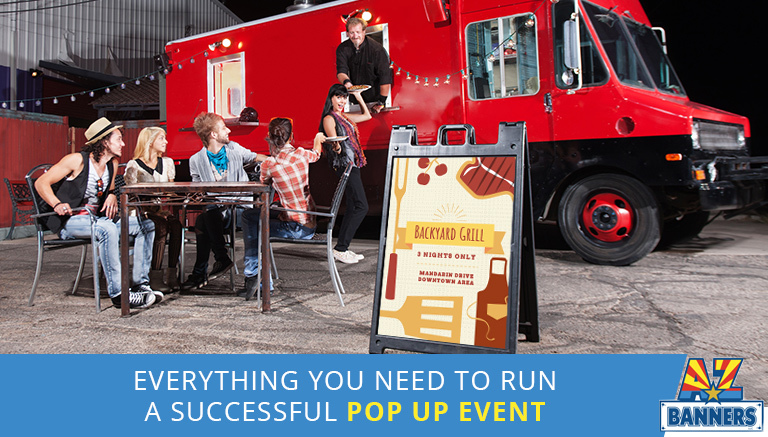 So you’re thinking about opening up a pop-up – congrats! Pop-ups are a $50 billion global industry and it’s only getting bigger. Fashion designers, online boutiques, and start-ups businesses are all going the way of the pop-up. 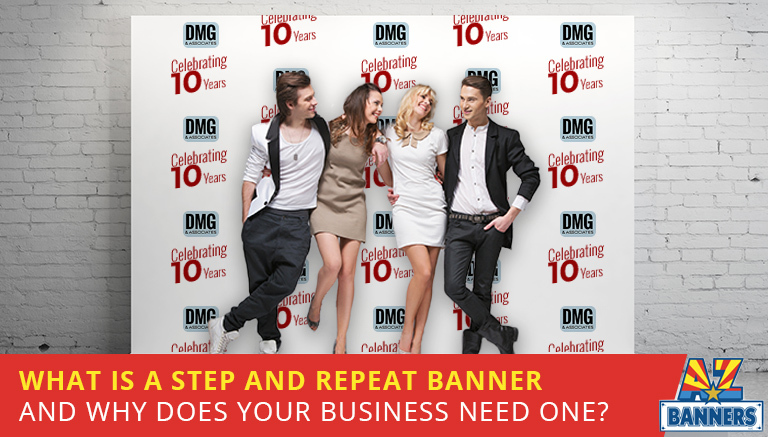 If you’ve seen a banner covered by a repeating logo behind a celebrity at an event or stood in front of one yourself, then you’ve witnessed a step and repeat banner in action. 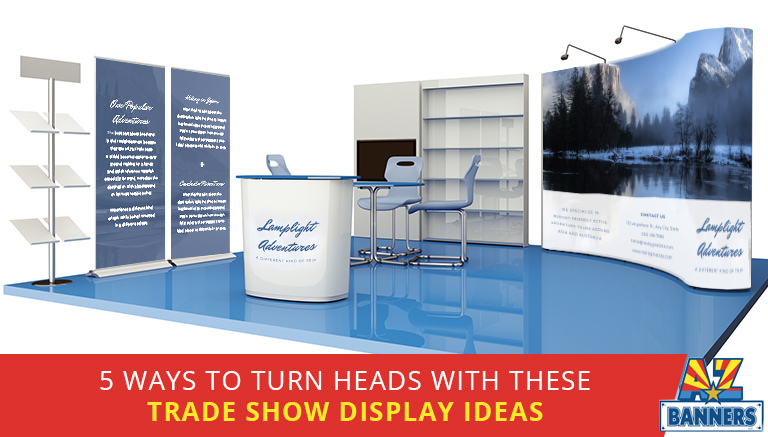 It’s one of the most popular trade show trends. This marketing tool has been showing up everywhere for a reason: it’s another way to promote your business for a modest fee. Photos featuring step and repeat banners tend to show up everywhere including news sites and social media. Traffic may be a nuisance, but it can also be an opportunity. According to the American Trucking Association, 98 percent of in-car audiences notice truck ads. After all, when you’re stuck in traffic or cruising down the street, there’s not much else to do but observe. 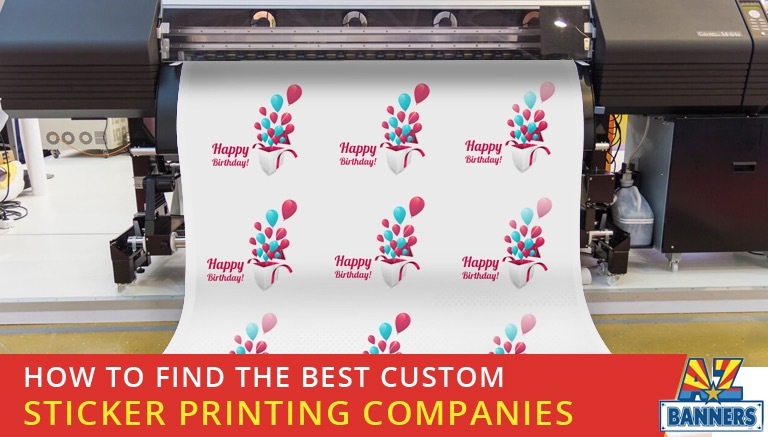 A banner is a great way to convey information, promote your business and catch people’s eyes. A construction banner also serves another purpose. It’s a way to create a visual barrier between the construction site and the public. Some construction companies simply put up solid color mesh material around their site. This is a huge waste of advertising space and can be almost as unsightly as the construction area itself. 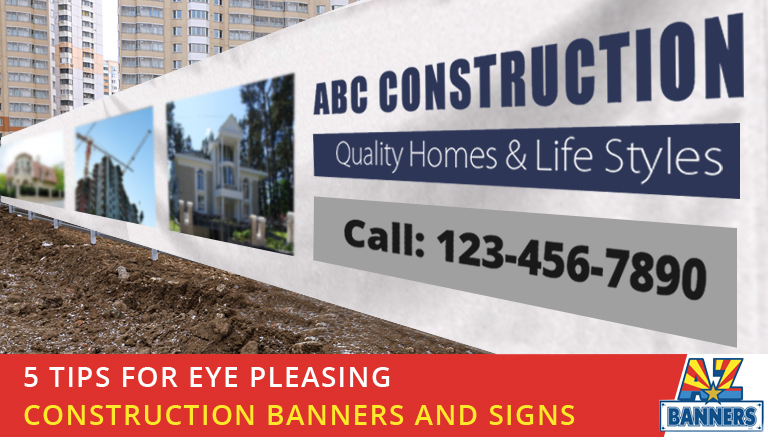 Why not use construction banners to their fullest potential? Recruitment season means excitement! The past year for which statistics are available, around 100,000 men and 145,000 women nationally joined Greek letter societies. This number is trending upwards around 2% a year. 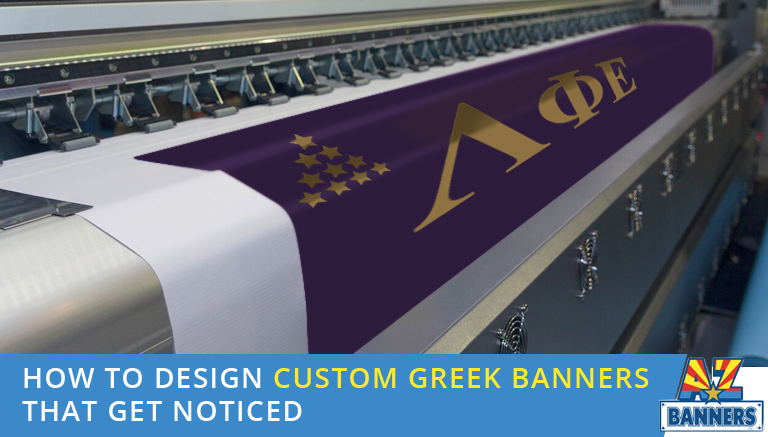 At the University of Arizona, ASU, NAU, and other campuses this means showing your house pride with banners! A good poster will not only grab someone’s attention, but will also create action. It can be difficult however to grasp the fact that just because a poster design looks great on your computer that it won’t always translate well when printing. Knowing the proper way to design and format your poster is crucial to creating a professional looking poster design.